MailChimp is unifying their regular e-mail data and Mandrill data. Uh, why would you care? 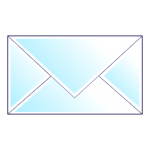 You probably don't, but if you have e-mail newsletters and e-mail notifications, there is some pretty cool things you can do with their new system. 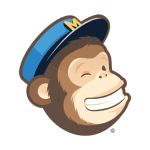 Mandrill is MailChimp's general e-mail sender. So if you have any web app, you can either just change the SMTP address or use their API and send through them. Why is Mandrill better? You get notifications of who opened and clicked what in those e-mails, with minimal work on your part. It can even notify your web apps. There is some impressive stuff, too – such as automatically modifying e-mails your system already send to change templates or add Google Analytics tracking. With the new integration, you get a lot of extra possibilities. Whenever you send a new e-mail to your lists, you can just send to people who received, opened or clicked (or didn't) any other e-mails you sent through your app. And there are a ton of other filters – such as near a location, part of a social network or a specific e-mail client. For example, you can easily filter out or in people who bought a specific product from you (if you use a tag on your e-mail), and send a follow up cross sale. Or if they didn't, you could send a discount. Pretty cool stuff, specially considering their very low prices – and the first 12000 e-mails are free!